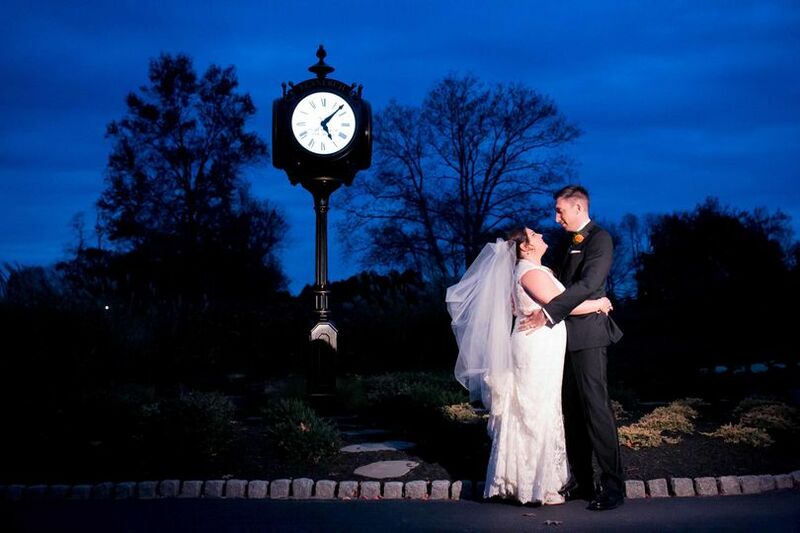 Based in Havertown, Pennsylvania, Llanerch Country Club is a classic golf club wedding venue just outside of Philadelphia. The elegant 127-acre property is warm, welcoming and family friendly. From the cheerful flowers to the spacious green lawns, couples will find countless photo opportunities. 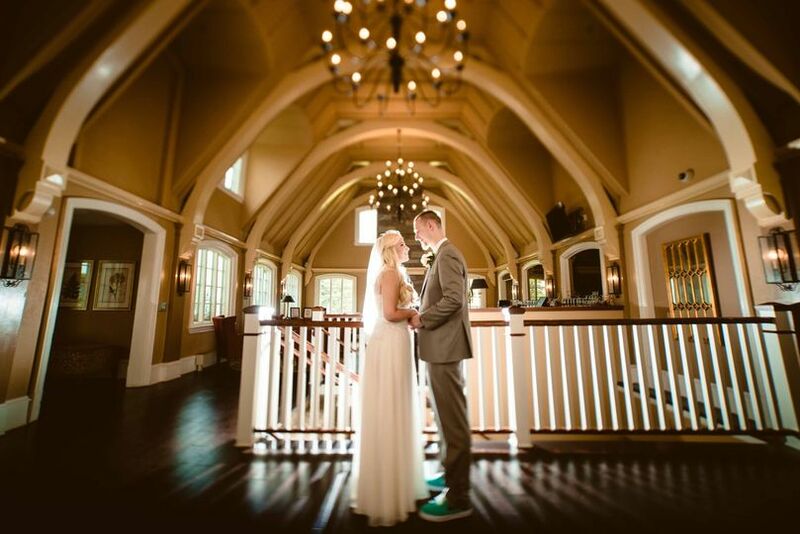 Your special day will be a priority at Llanerch Country Club. 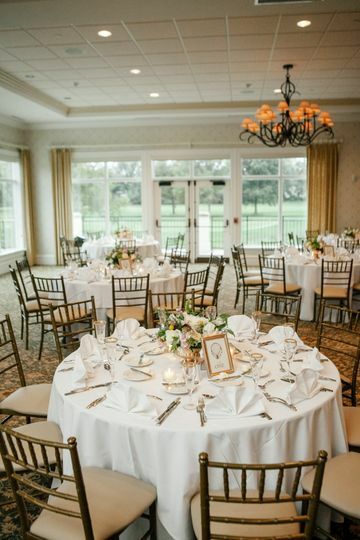 At this country club wedding venue, couples can host up to 200 people. 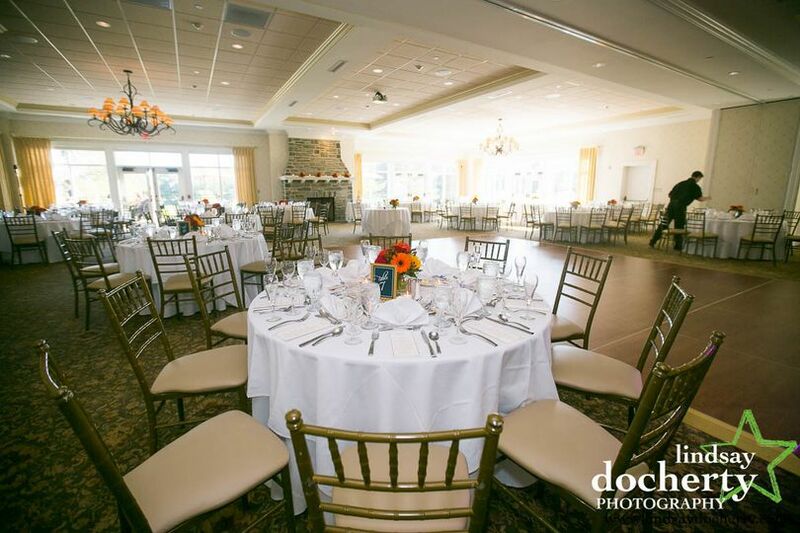 The Ballroom, located in the club house, features a dance floor, stone fireplace and wraparound terrace with scenic views. This area is perfect for cocktail hour and mingling. 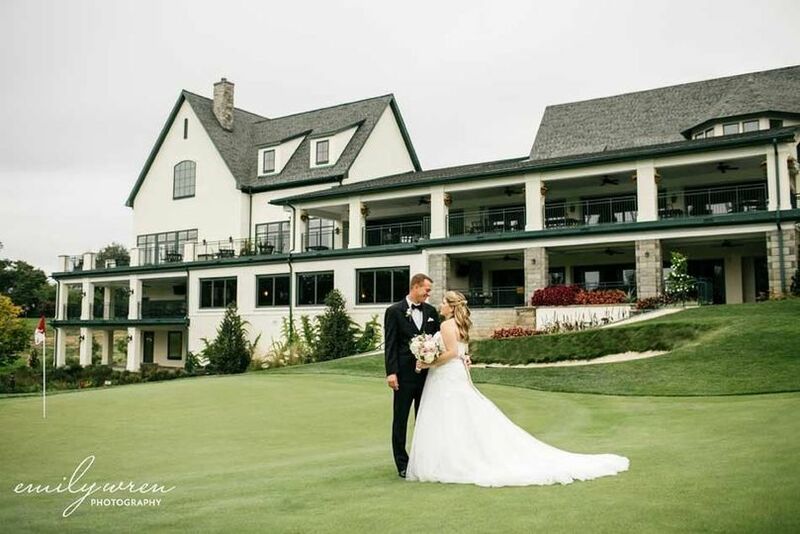 Llanerch Country Club has a bridal suite for your wedding party. On the special day, guests can use on-site parking, valet parking and wheelchair accessible facilities. Llanerch Country Club, originally known as Delaware County Country Club, was established in 1901. It became Bon Air Country Club in 1914, but in 1918, a fire destroyed the clubhouse. 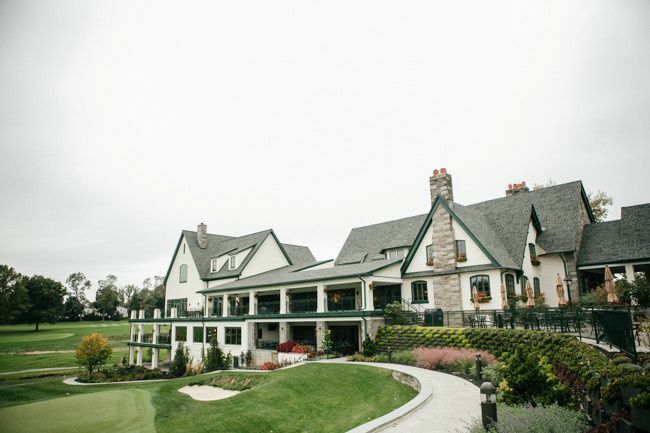 A new charter for Llanerch Country Club was obtained in 1919, and Mr. Fitzgerald, the club’s owner, hired architect Alexander H. Findlay to redesign the property. In May 1928, the new course opened. 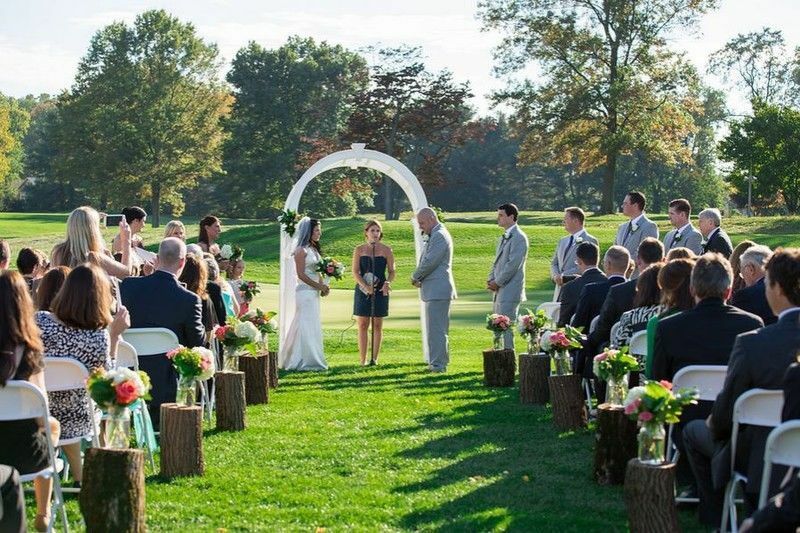 Over the following decades, tournaments, events and weddings were hosted at the prestigious Philadelphia golf club. 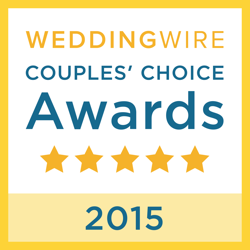 The wedding venue is 25 minutes from Philadelphia and 20 minutes from Philadelphia International Airport. It is 20 minutes from King of Prussia, 40 minutes from Doylestown and 55 minutes from Reading. Ridley Creek State Park is 15 minutes away. Llanerch Country Club far exceeds our expectations. I could not have dreamt a more beautiful wedding. Words truly cannot express how happy we were with the service! All of our family and friends are still talking about how much fun they had. The Ballroom was set up perfectly and the view of the Golf Course from the porch is spectacular. 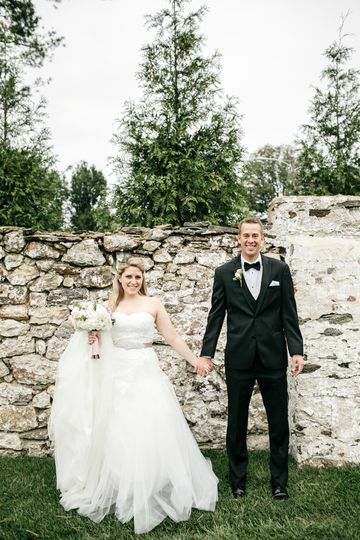 There are really no words to describe how absolutely perfect our wedding was at Llanerch Country Club. From the moment we walked in and met Sue, we knew this beautiful venue was where we would have our cocktail hour and reception. Sue was tremendously helpful and made sure that every single one of our needs were met. 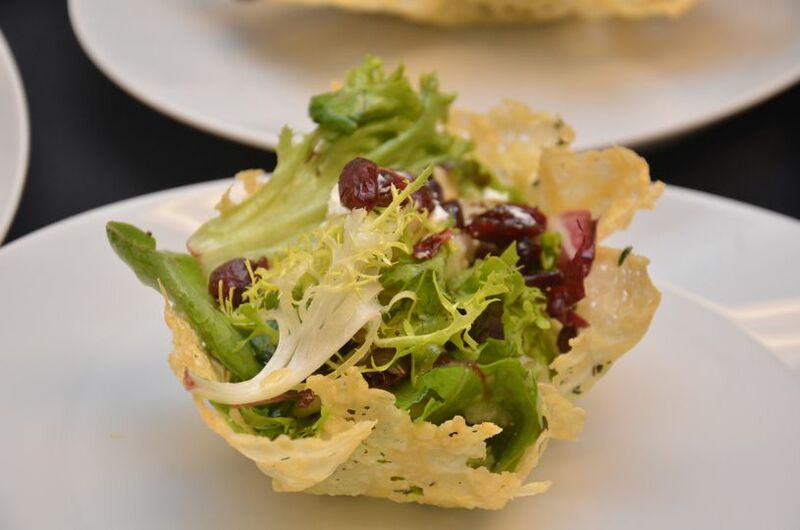 We received many compliments of how delicious the food was and how courteous the staff was. We really could not have asked for anything more from Llanerch, thank you!!! Llanerch Country Club exceeded all of our expectations. The staff was very helpful and the scenery was absolutely perfect. I would definitely recommend this venue for weddings!